Everybody knows flying a helicopter is a very specialist skill; it takes years of training and an inordinate amount of money to gain a licence, then even more time and money to stay an active part of the industry. But, getting a taste of helicopter flight doesn’t have to cost as much as you think. Here at Experience Days, we think everyone should experience the thrill of flying, so we’ve put together this article to outline where in the country you can book an introductory helicopter lesson – or purchase a flight as a gift voucher! Scenic flights are all well and good, but hands-on flying lessons are the next big thing, and we know you’re just going to love it. Read on the find out more, and as always, drop us a message if you have any questions or want more information! How Do You Actually Fly a Helicopter? As is tradition with Experience Days articles, we must begin with some back-story to the topic we’re covering, just so you’re fully aware of what you’re getting yourself in to. Helicopters are what’s known as rotorcrafts, meaning they can achieve flight using rotary blades that allow them to move in all directions, and take-off/land vertically. 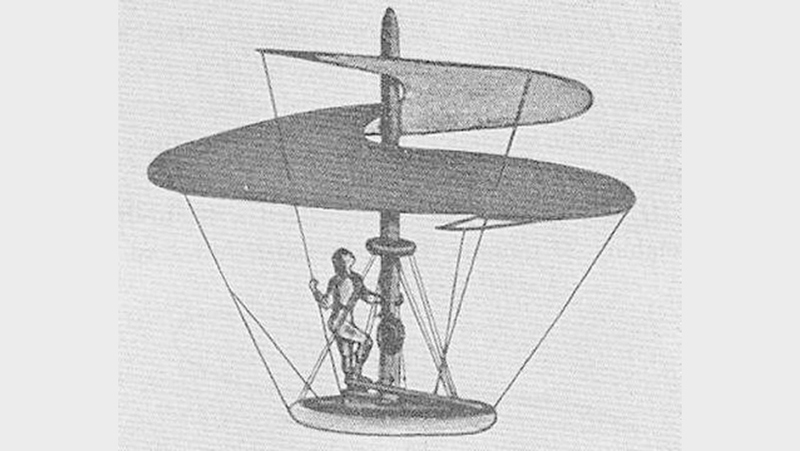 If you’ve read our article on flying lessons, then you’ll know that flying contraptions have been around in ancient China for thousands of years, and same goes for rotorcrafts – in fact, the first helicopter was a toy for Chinese children! From then it all gets very experimental; the Russians, French and English lead the way in aircraft design, adapting the toy to hold heavier weight and be made of wood and metal. But of course, let’s not forget about Leonardo Da Vinci himself, who designed the ‘aerial screw’ that acted as a blueprint for all other designers to build on. Fast-forward to the type of helicopter we recognise today, and you reach the 1940s, where World War II increased the demand for small aircrafts that were efficient in movement and speed. Once the turboshaft engine was invented for helicopters by Joseph Szydlowski, the rest was history. In the modern era, helicopters are used for a multitude of tasks that were previously impossible for light aircrafts. Due to their ability to hover, take-off and land vertically, choppers are ideal for reaching difficult places and are therefore often used in rescue missions and as air ambulances. As well as rescue operations, helicopters can also be used to ‘water bomb’ wildfires, lift heavy equipment using strong cables, and drop military personnel with pin-point precision. Is there anything these machines can’t do?! 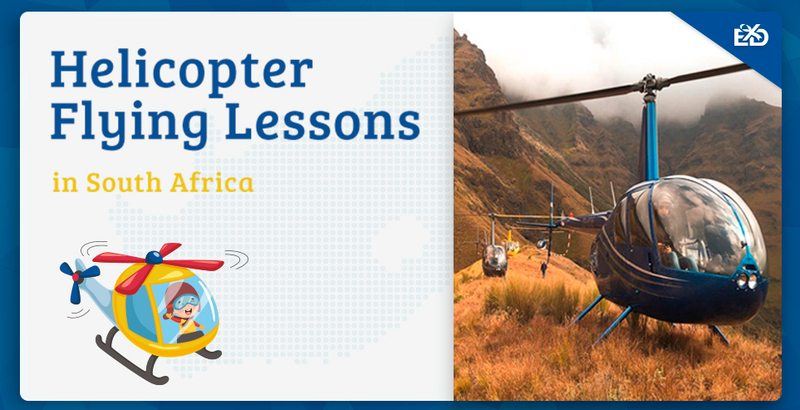 It’s no wonder so many people are eager to fly a helicopter, and we’re here to tell you it’s easier than you think, and you can find helicopter lessons in almost all the South African provinces. Some give the cost up front, others are price on demand, but with each of our top picks you’re guaranteed an unforgettable experience fulfilling your aviation dreams. It may even be the start of a journey towards a licence! Unsurprisingly, the majority of helicopter flying lessons are in Cape Town and Gauteng, but that’s not to say you can’t find them elsewhere. We’ll start with Western Cape and move on from there, but if you know of others please let us know! 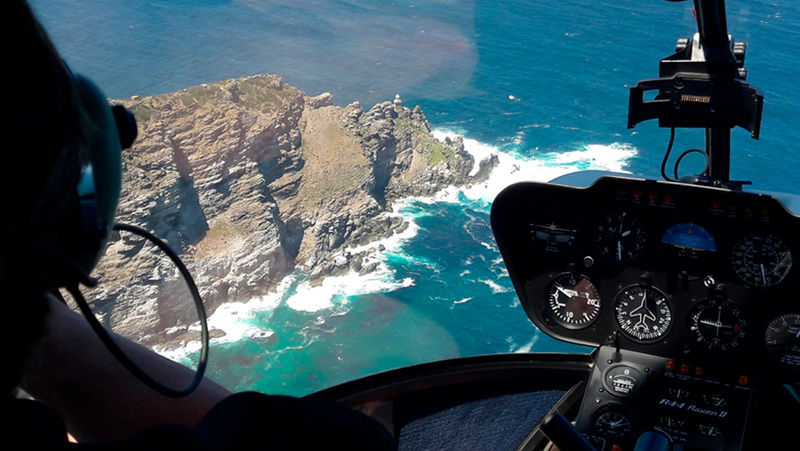 Located safely inside the General Aviation Area within Cape Town International Airport, Heli-X has been offering flying lessons, simulations, sightseeing tours and licence training since 2011. 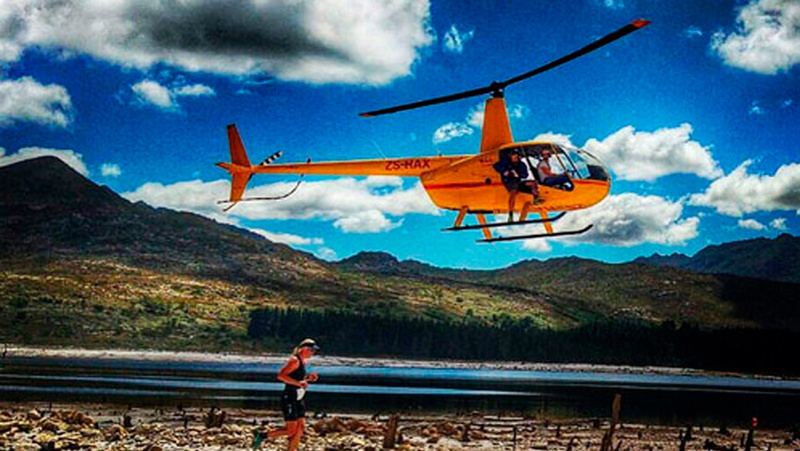 With a fleet of bright yellow Robinson helicopters and a team of instructors with years of experience, Heli-X is a fantastic choice for helicopter lessons in Cape Town. Join them for a 30-minute introductory flight in a Robinson RH22 and revel in the magic of aviation – we guarantee you won’t want to come down! The instructor will be on-hand at all times to ensure you’re constantly improving your skills and making the most of your taster flight, so by the time you land you’ll be eagerly signing up for more sessions, eager to see the aerial views of Cape Town over and over again. Experience the wonder of flying a helicopter with a half hour introductory trial flight in a Robinson R22, all in the capable hands of Helicopter Pilot Training. 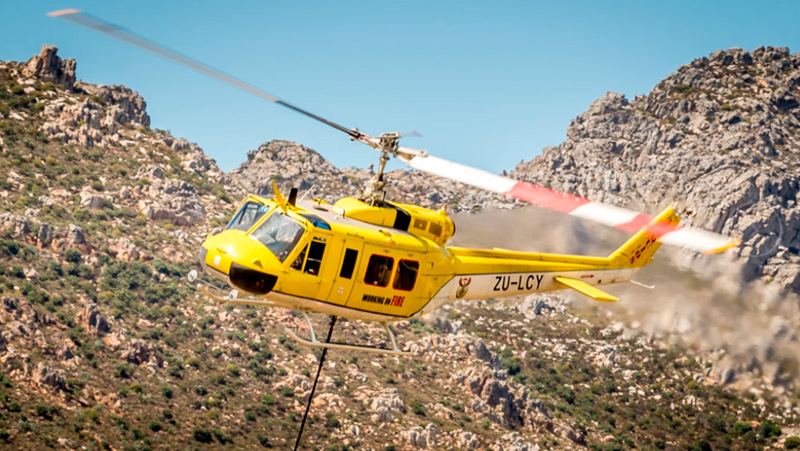 The clue’s in the name; Helicopter Pilot Training are one of the leading flight schools in Western Cape, also operating out of Cape Town International Airport. With no experience needed, a trial lesson is perfect for those who want a taste of flying without the commitment of licence training, but the best bit? If you do decide to continue with a licence, the time you log on a trial lesson will count towards it – so you’re already part of the way there! Better still, Helicopter Pilot Training offer their trial flights as gift vouchers, so you can give someone the ultimate day out and make their dreams come true. 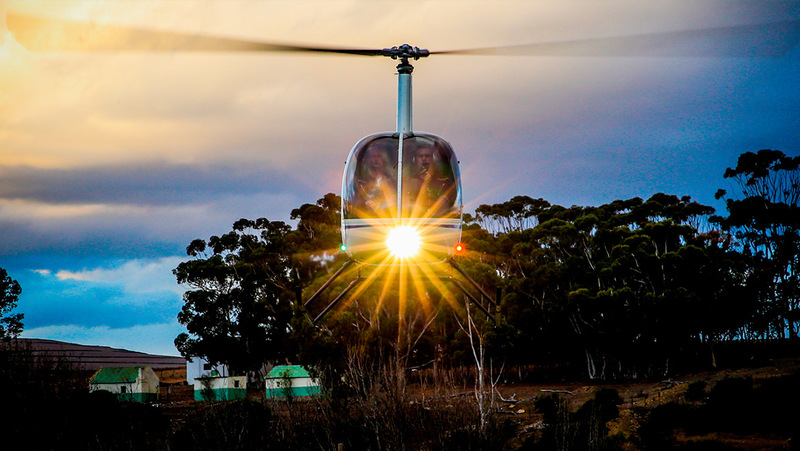 Base 4 Aviation specialise in licence training, but that doesn’t mean they won’t offer you a mind-blowing introductory helicopter lesson on the outskirts of Cape Town. Having been in operation since 2001, Base 4 is one of the oldest helicopter training schools in South Africa, and therefore benefits from many years of expertise and experience in the industry – you know you’re getting top quality tuition with these guys! The school has a massive fleet of helicopters on its books, and offers everything from aircraft maintenance to private charter, plus all levels of pilot training should you want to continue with getting a licence. They also do helicopter sales, so you could find yourself the proud owner of a ZS-RLG Robinson R22 Beta II if you have a cool R3.2million to spare! Moving on up to Gauteng, our first choice for helicopter lessons is with Hover, based at Grand Central Airport. On arrival at the airport, not only will you get a hands-on half hour trial flying lesson, you’ll also receive a 30-minute briefing before the flight to cover safety, controls, and general flying etiquette. Having theory-based training before a lesson can be hugely beneficial to your overall achievement, and will ensure you improve quickly under the supervision of a professional pilot. Plus, the time spent in the air counts towards a licence, so you can easily transition from newbie to official student! If you catch the flying bug and want to experience a longer flight, Hover also offer a Helicopter Training Discovery Day that includes two hours of theory training, and another two hours of hands-on flying, so you can choose how far you want to take your schooling. Our second top choice for Gauteng is Henley Air, a flying school you’ll find at Rand Airport in Germiston. If you’re unsure about whether helicopter flying is for you, then the team of instructors at Henley are ready to change your mind and make you feel confident in your abilities. For only R2990 you can enjoy a 30-minute intro lesson with an expert pilot at the controls, demonstrating the many capabilities of the aircraft and allowing you a hands-on taster if you’re ready to take over. Once you’ve experienced the thrill of a vertical take-off and the incredible sensation of hovering mid-air, we guarantee you’ll be rushing to join the aviation club and start your career in helicopter flying. With Augusta, Bell and Robinson helicopters in their fleet, Henley Air also have one of the largest varieties of aircrafts available! 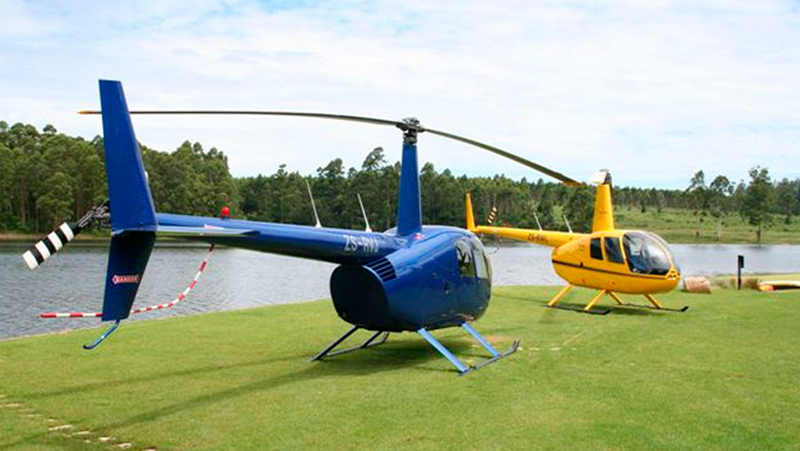 If you want to experience the excitement and adrenaline of helicopter flight but don’t want to break the bank, then Starlite Aviation in Durban are your best bet. Based at Virginia Airport, you’ll get all the experience of a commercial airport that serves most of KwaZulu-Natal and the rest of the country, without the need of a pilot’s licence. Hop in their Robinson 22 for an 18 minute helicopter lesson and see just what it takes to fly one of these machines – you may surprise yourself! An expert instructor will be by your side the whole time to offer guidance and boost your confidence, so you’ll feel ready to take the controls in no time. All this for only R1300, you won’t find a better price anywhere else! 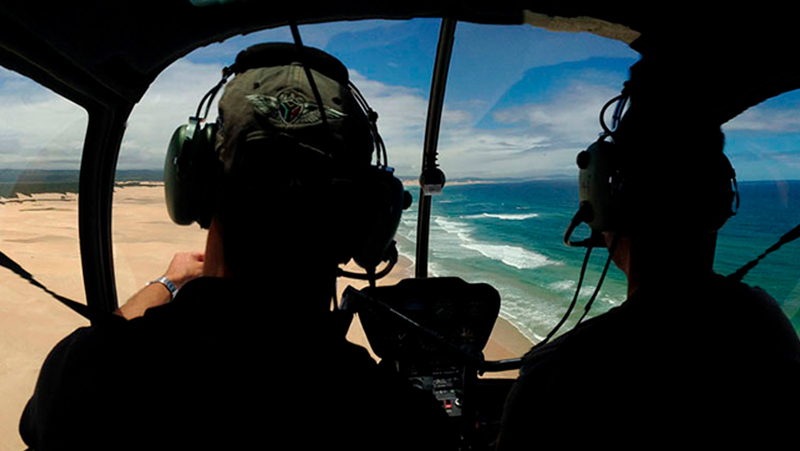 We know this article is about helicopter flying experiences, but if we’ve already convinced you that being a helicopter pilot is what you want to do and you’re ready to start licence training, then BAC Helicopters in Durban are your guys. With intensive courses covering every possible type of licence, and a comprehensive list of everything required to achieve your goals, BAC do all the hard work so you don’t have to (except for the actual flying bit). 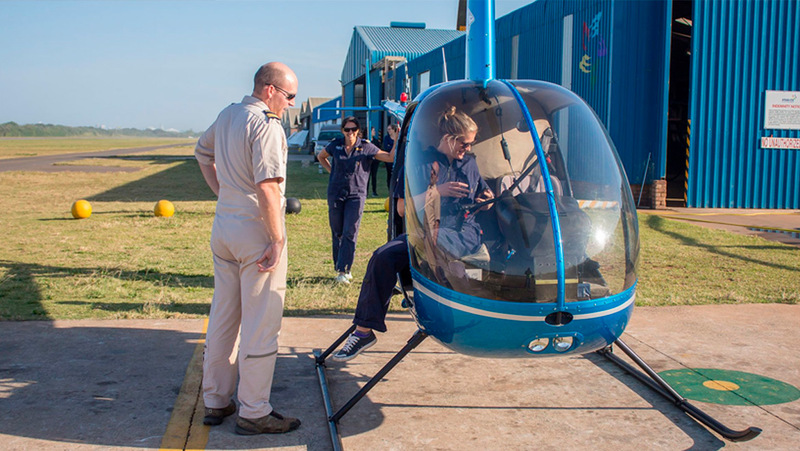 That said, BAC do still offer 30-minute hands-on trial lessons, so if you’re not quite ready and still want a glimpse at what’s in store, booking an intro flight is a fantastic way to discover the wonders of helicopter piloting. And you guessed it, the intro hours count towards your licence training, so there’s no excuse to not go for it! 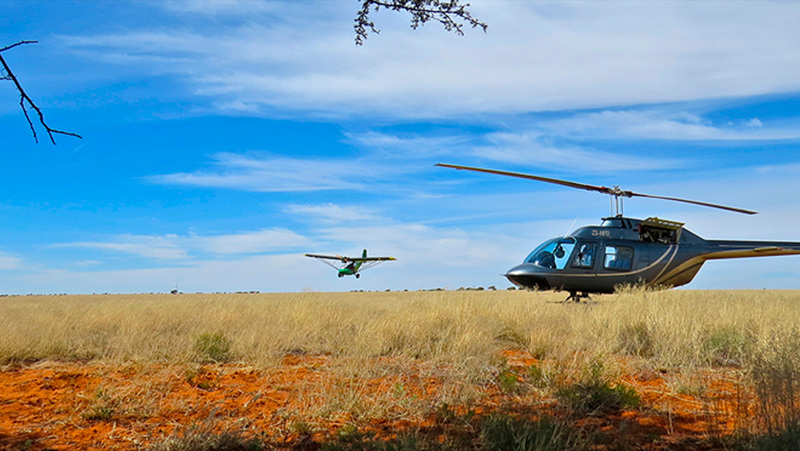 Take in the incredible sights of Bloemfontein during a practical helicopter lesson with Bass Air Aviation, flying high over local wildlife and distant nature reserves. Bass Air have been operating from New Tempe Airport since 1985, so their knowledge of the surrounding landscape is unparalleled – they also know a thing or two about flying helicopters! With this long in the industry, you know you’re getting the best tuition possible, and the beautiful setting in which you’re flying only adds to the magic of the experience. Join pro pilots for an intro flight and see what the fuss is about, then sign up to licence training and start your journey to becoming a pilot yourself. During the flight you’re welcome to take as much or as little control as possible, so you can really make the most of your time in the air! It’s all well and good attending a helicopter flying lesson, but what if you want to know how it works before you get there? Well, we’re not going to go into too much detail because it’s way too complicated. But, we will give a brief overview of the controls and how the aircraft remains airborne. 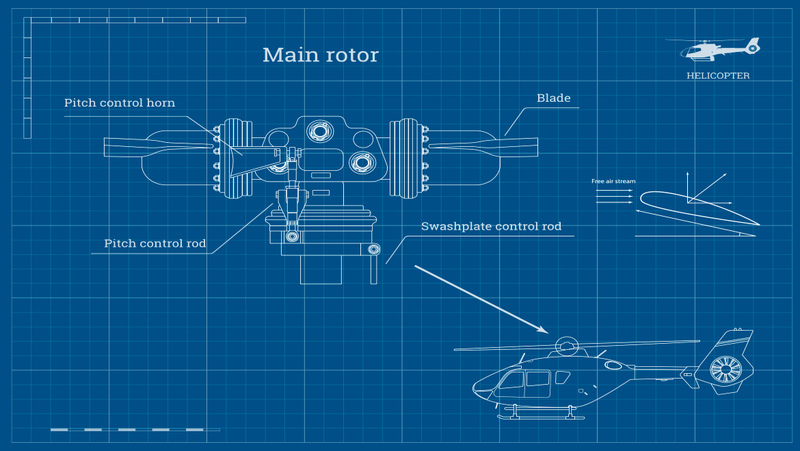 One of the most important parts of a helicopter system is the swashplate; a device that allows controls from within the helicopter to translate to the spinning rotary blades, therefore enabling the aircraft to move forward, upward, downward, and to accelerate. 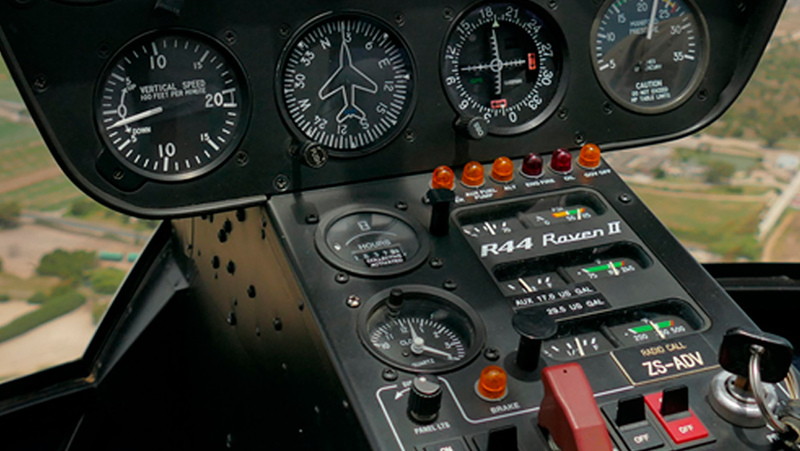 The cyclic stick within the aircraft controls the speed and power of the rotors, and the foot pedals control to rear rotor to determine direction. Since almost all common forms of transport use steering wheels or handle-bars to change direction, steering with your feet will take some getting used to! We’ve reached the end of our Helicopter Flying Experiences article, but as we said at the beginning, if you think we’ve missed something or you have more to add, please don’t hesitate to contact us in the comments section below. 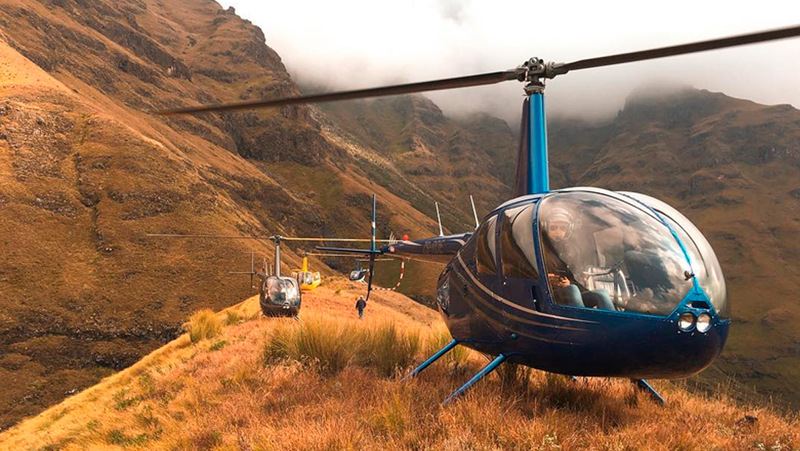 We can’t stress enough just how wonderful helicopter flights are, and if you’re looking for a unique gift idea, they also make fantastic experiences for loved ones. That’s it for now, until next time!